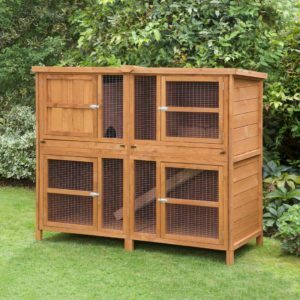 Here at Home & Roost, we have a vast selection of indoor and outdoor rabbit hutches for sale and we work diligently to ensure that our services are the best they can be. 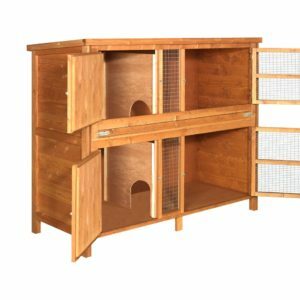 We know that buying a new rabbit hutch can be a difficult task, but we also know that you might not always know which hutch is the best one for your pet. That’s why we started Home & Roost. We have a passion for the industry and we love animals just as much as you do. We’re here to advise you on any number of our products, and with some of the best independent reviews in the industry you know you can count on us to give you a product that you know you can count on. 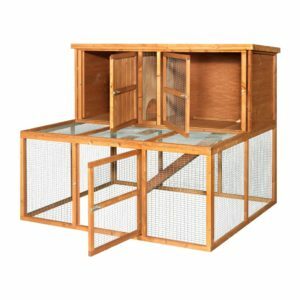 Our UK rabbit hutches are made by some of the finest craftsmen in the industry and each one has that unique touch that really makes it special. 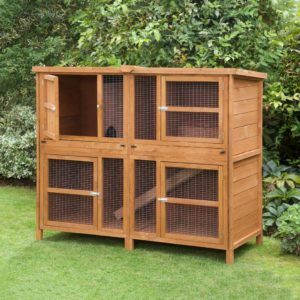 It doesn’t matter whether you’re looking for a 4ft indoor hutch for your living room or a large hutch for your garden, our vast selection is of the highest quality and we are always updating our stock so if you don’t see what you’re looking for, please don’t hesitate to get in contact with our team. When you are ready to buy a hutch there are some simple rules that can help you pick the perfect home for your furry friends. First of all, rabbits like space to hop around and play so whether you have one bunny or a couple, try to get the biggest cage you have space for. 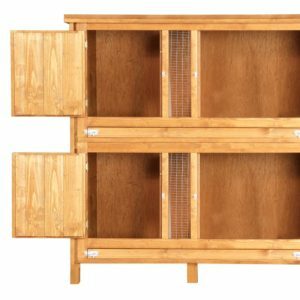 Home & Roost have plenty of great hutches both large and small so you should be able to find something perfect for you. 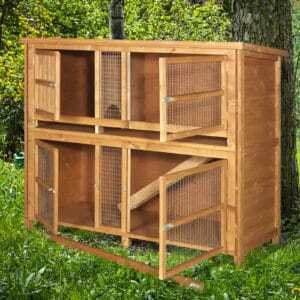 If you have multiple rabbits you could consider a double hutch which provides two stories for your rabbits. This allows you to fit more hutch into less space. 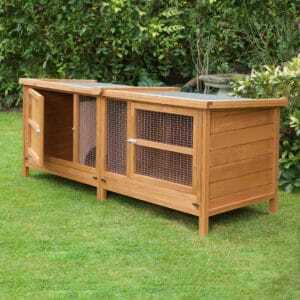 To give your rabbit a bit of extra space, why not check out our rabbit runs available online. 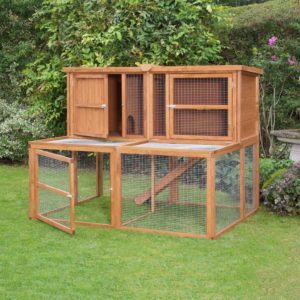 Your rabbit can nibble the grass and get some additional exercise with a run that can stand independently or attach to any Home & Roost hutch. All of our hutches are made with your rabbit’s health and wellbeing in mind. We use animal safe wood treatments because we know how much bunnies love to chew. We also work hard to ensure our wire mesh hutch faces are well secured and free of any sharp edges that could harm your pets. 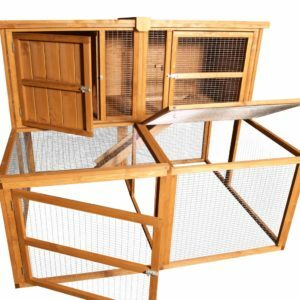 Finally, we design our hutches so they are great for your rabbits but also for you. Our hutches all have multiple doors so you will never have to reach or bend to pick up your pets or clean them out. This helps prevent injuries to rabbits and owners. 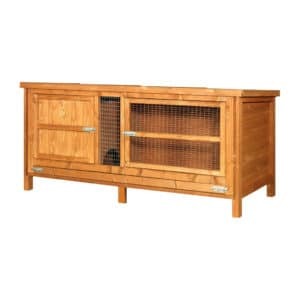 We know that when you order a rabbit hutch from us, you want to make sure it is built well and safe for your rabbit. It also needs to get to you on time and for a reasonable price. We stand by all of our hutches and you can count on them to be great homes for your pets. We like to go the extra mile for our customers and we pride ourselves on our level of dedication. That is why we focus on having some of the fastest delivery times in the UK and mainland Europe. 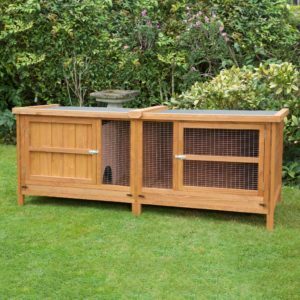 If you decide to buy a hutch from us, we also recommend a hutch cover to protect your rabbit hutch from the weather and can make it last longer. 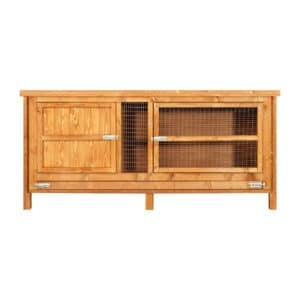 Keeping your hutch dry prevents rot, keeps your hutch looking good and most importantly keeps your rabbit dry. 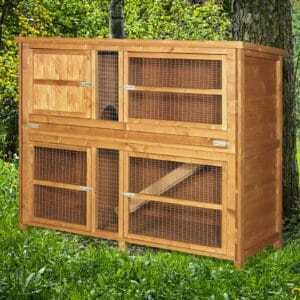 We have hutch covers available for most of our hutches so it is easy to find the right cover for any hutch you choose.